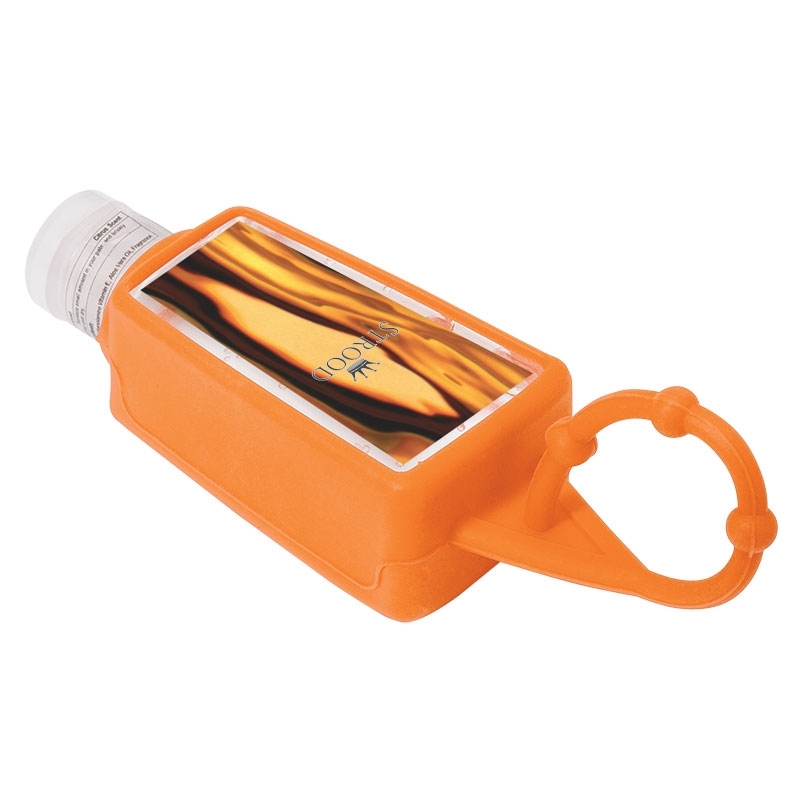 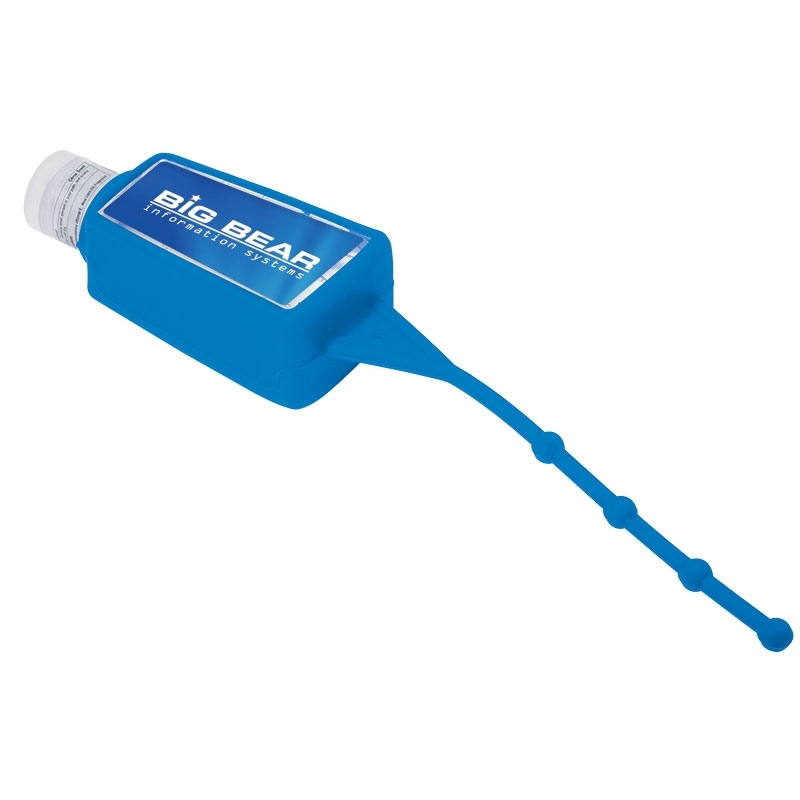 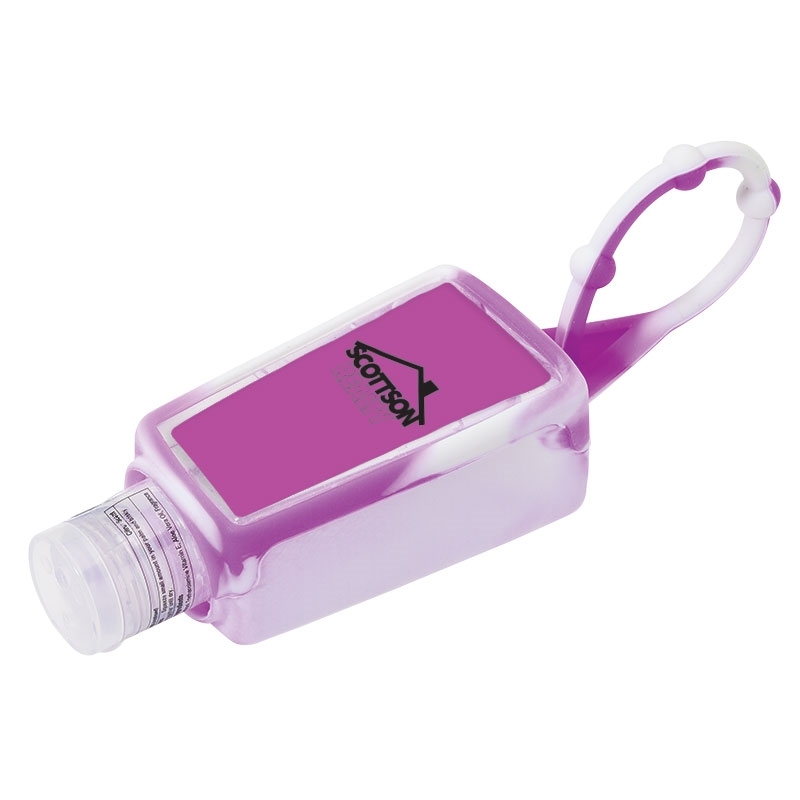 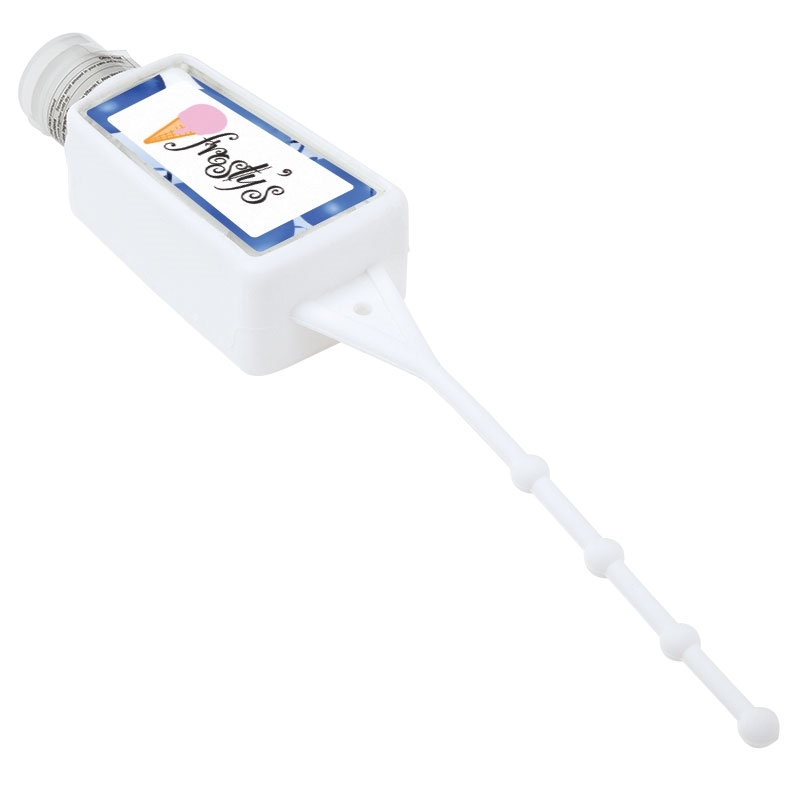 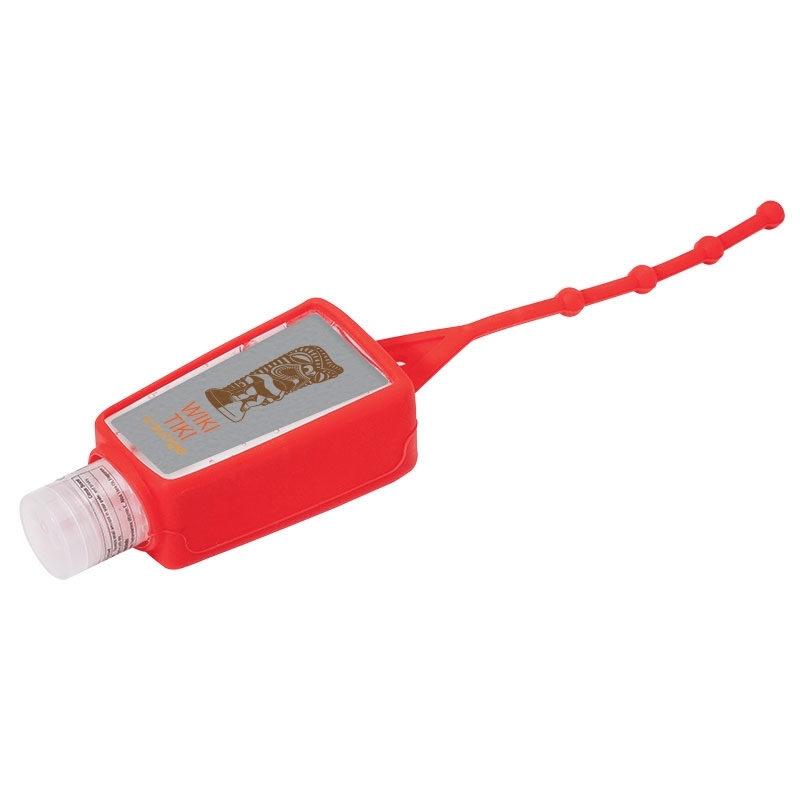 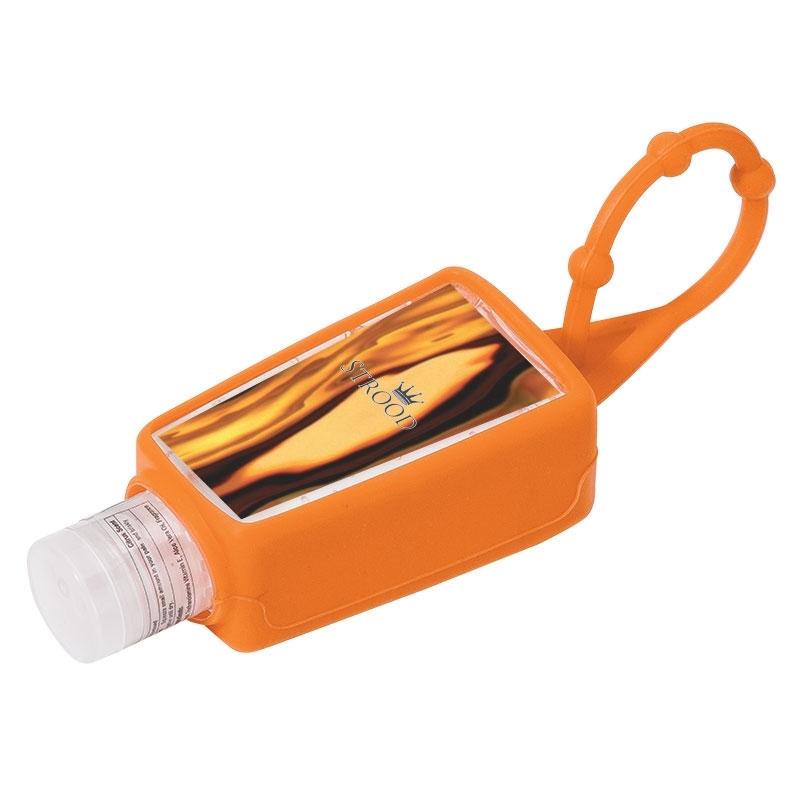 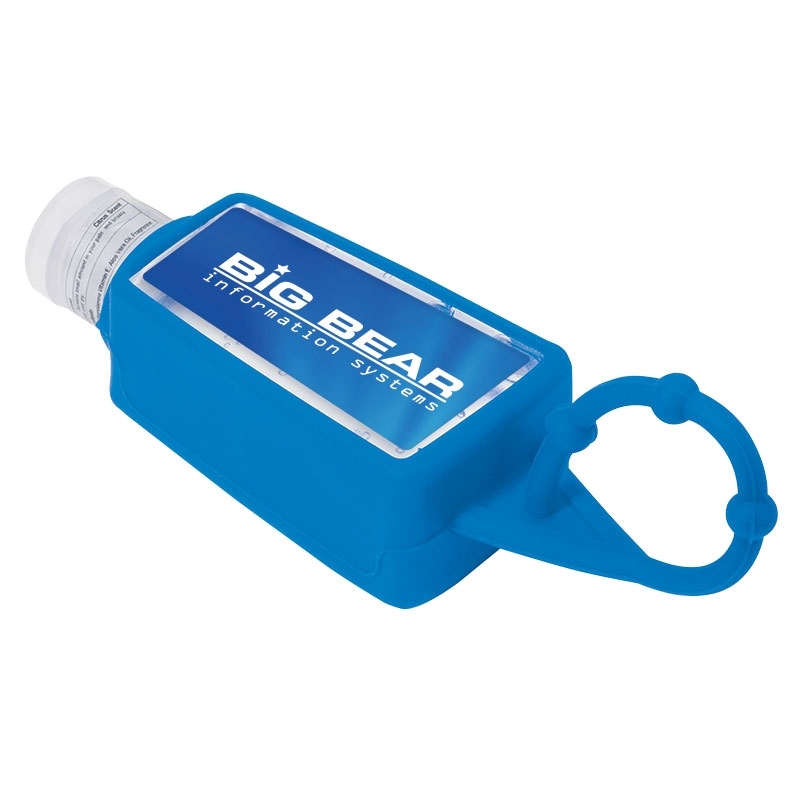 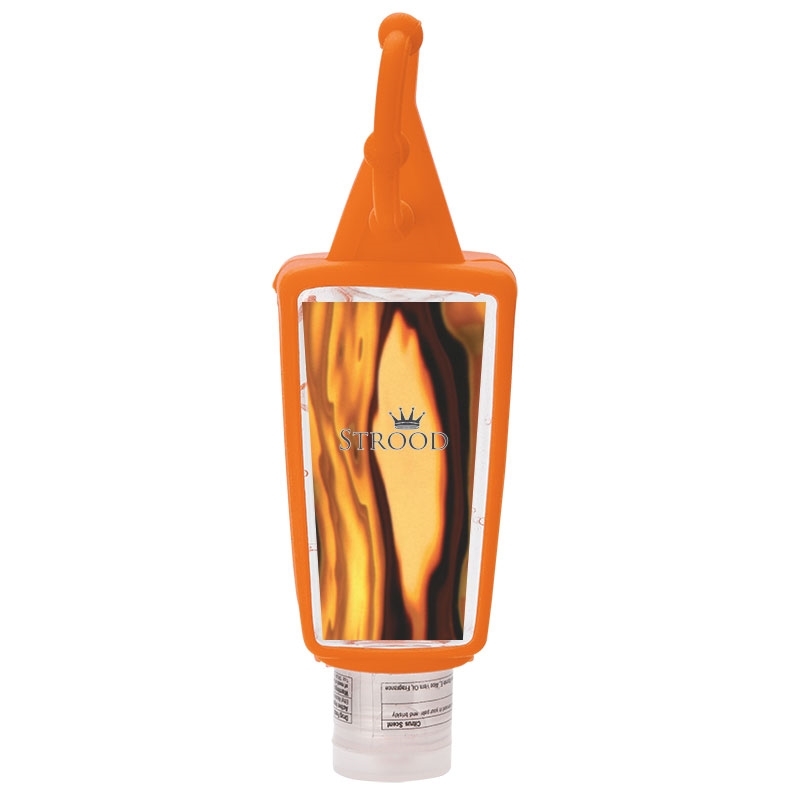 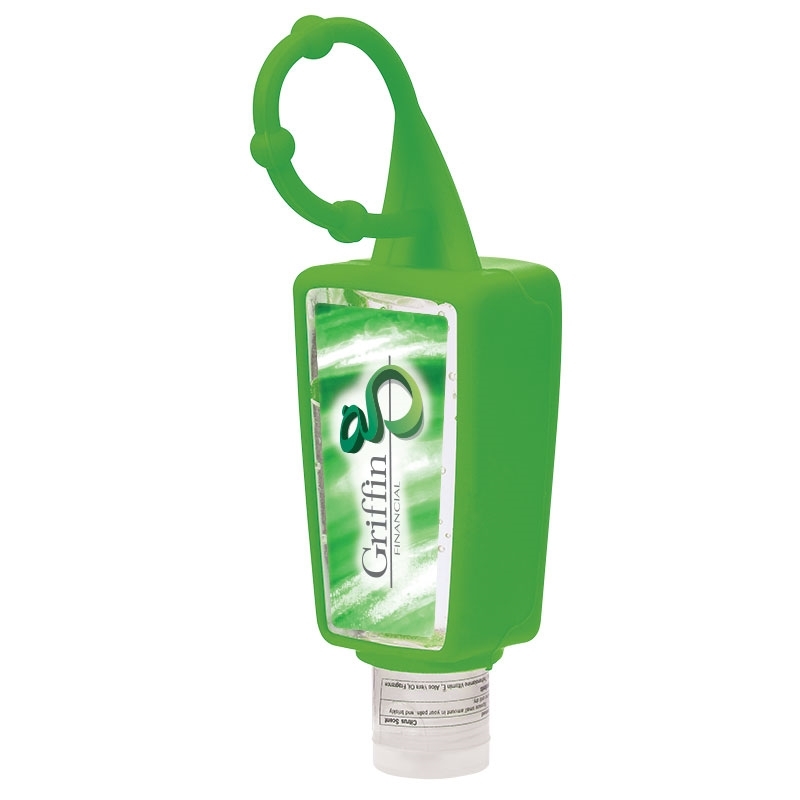 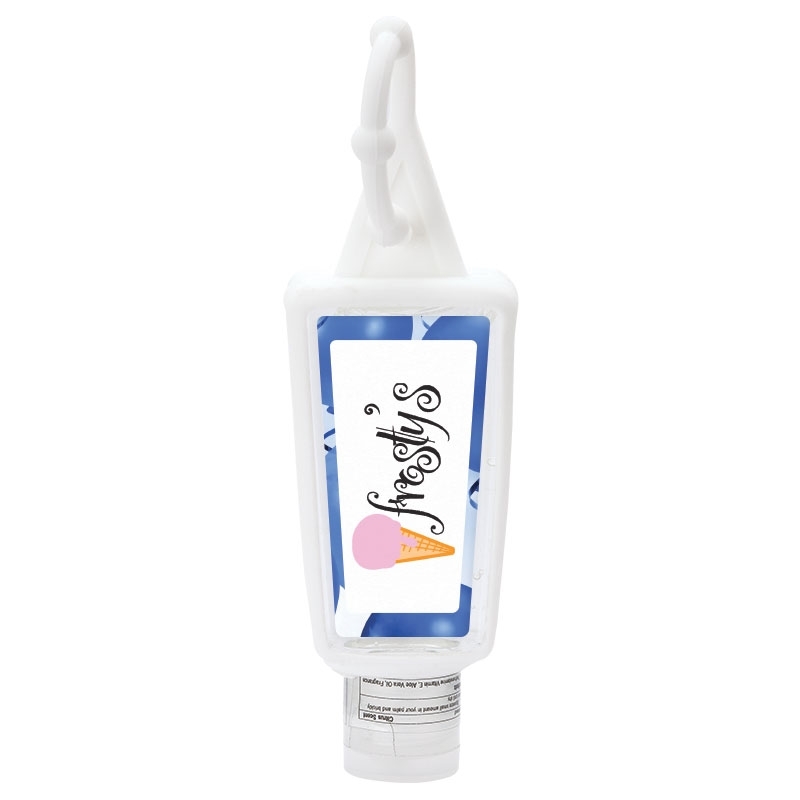 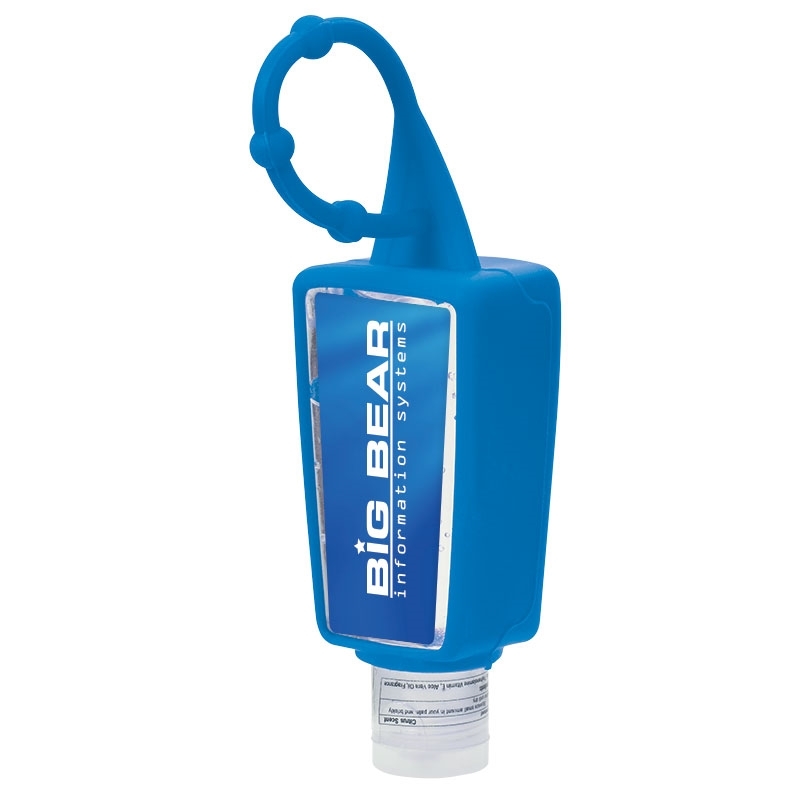 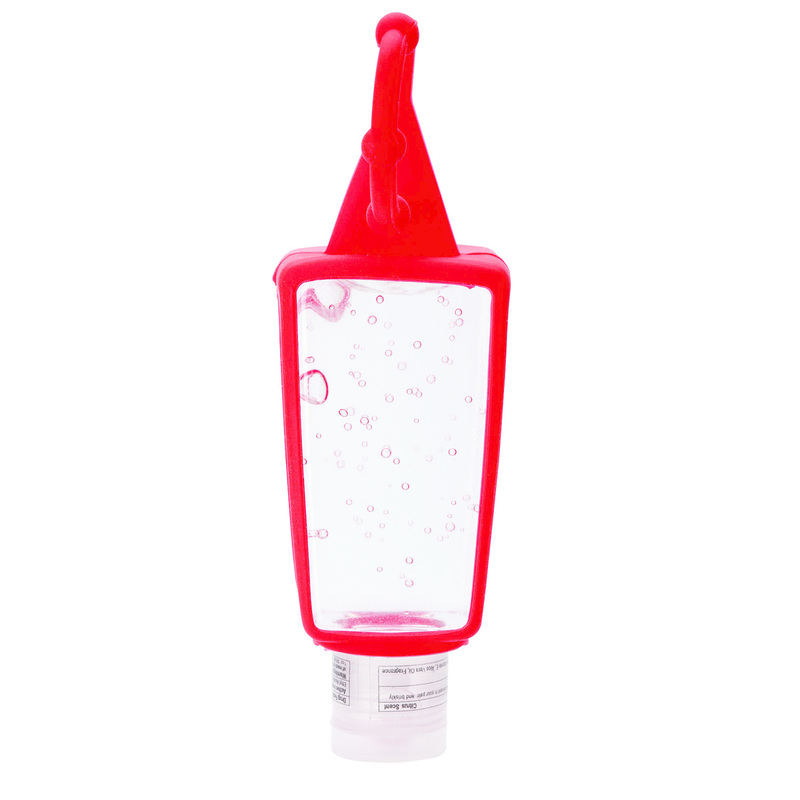 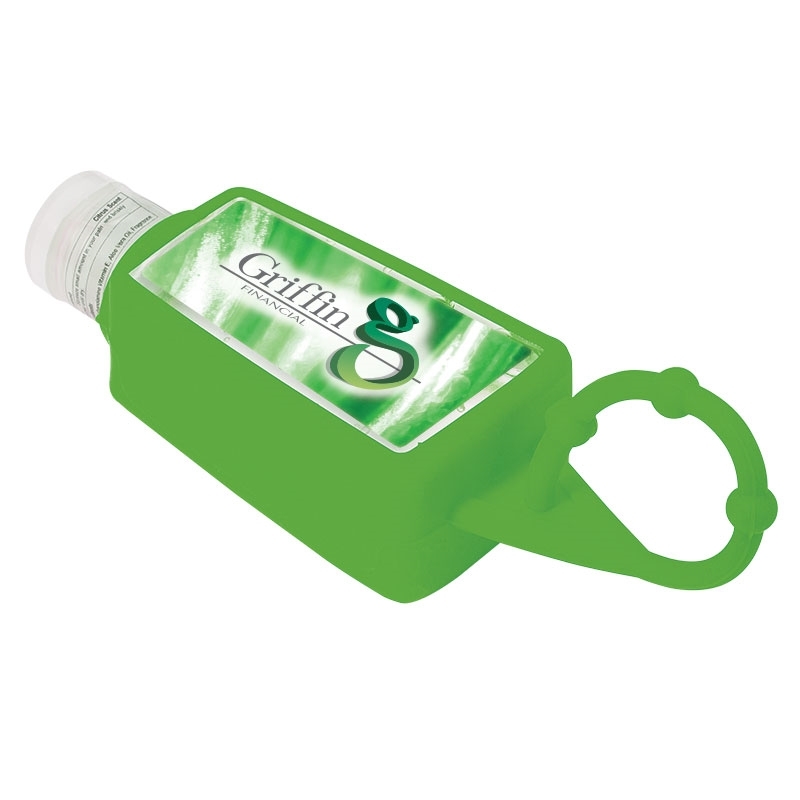 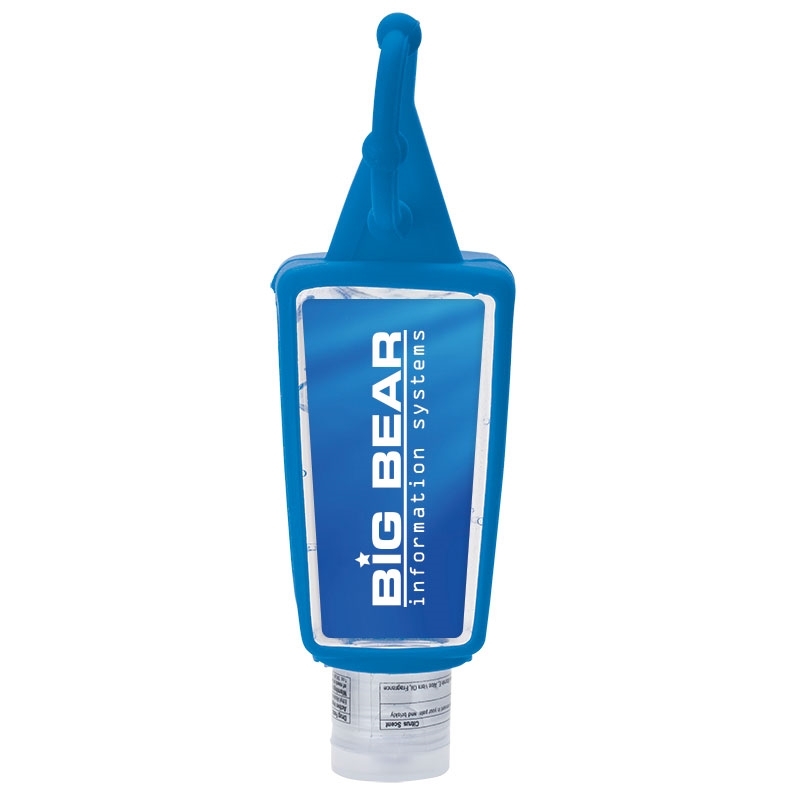 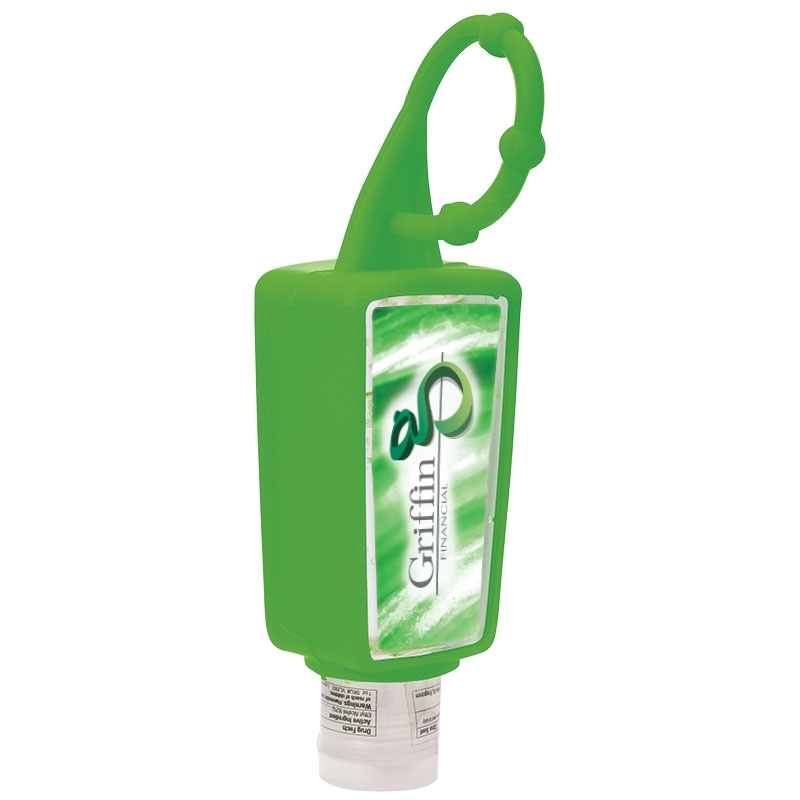 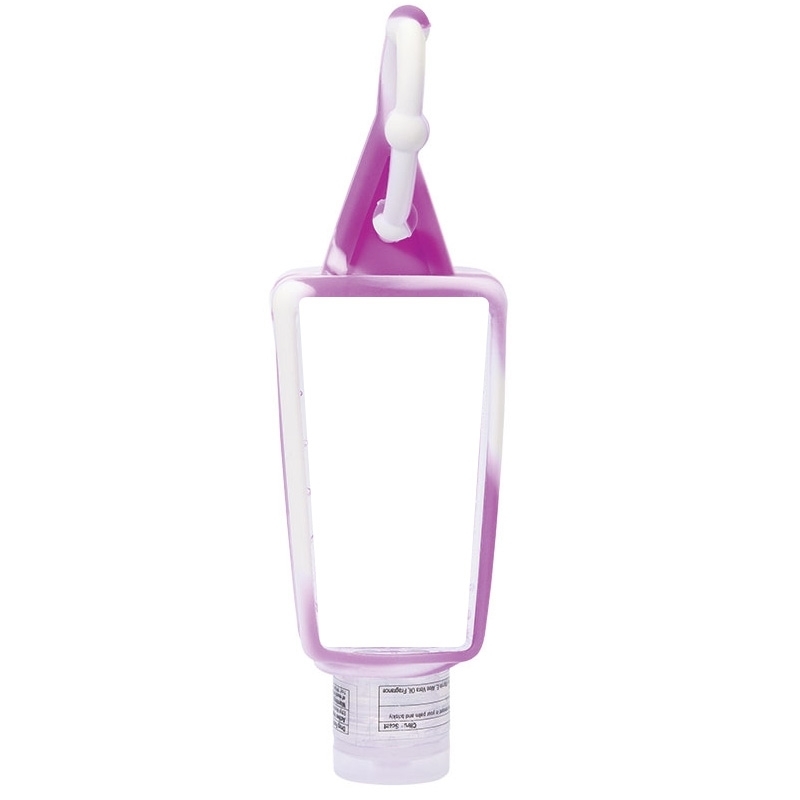 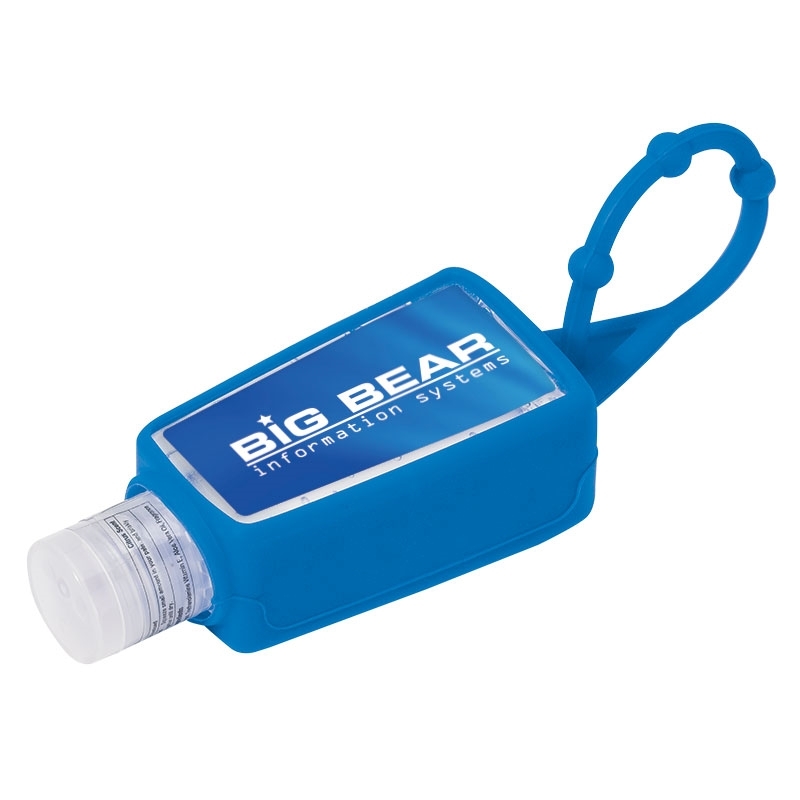 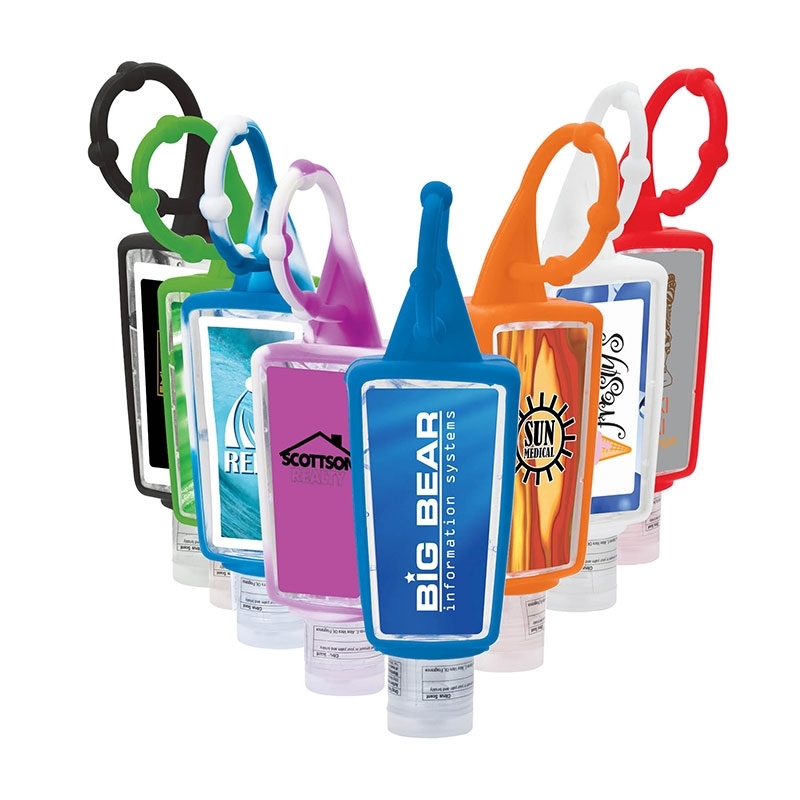 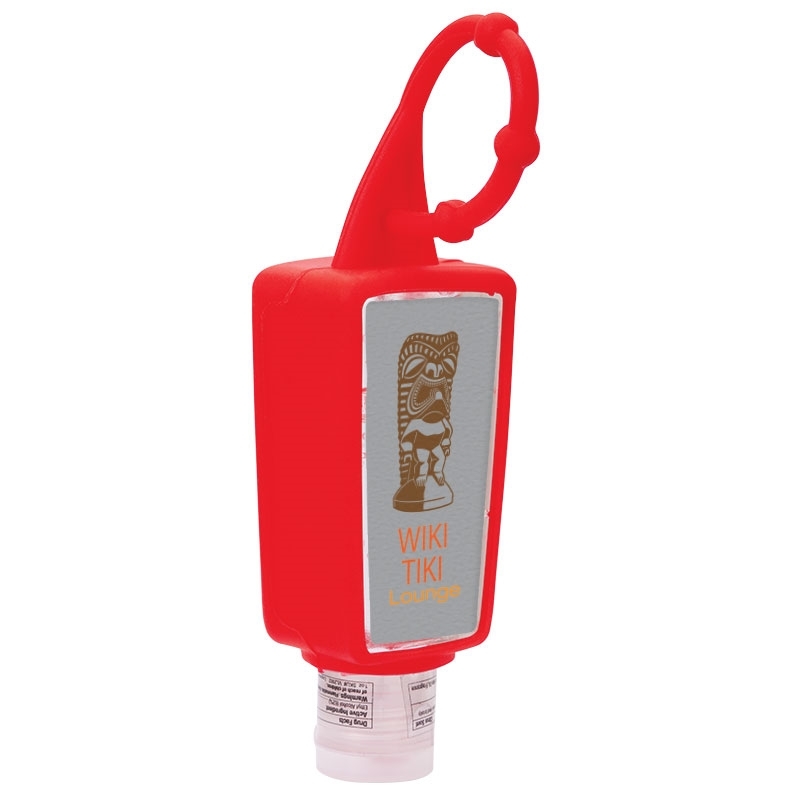 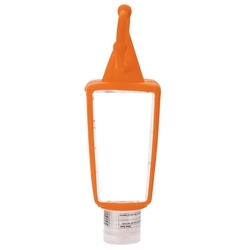 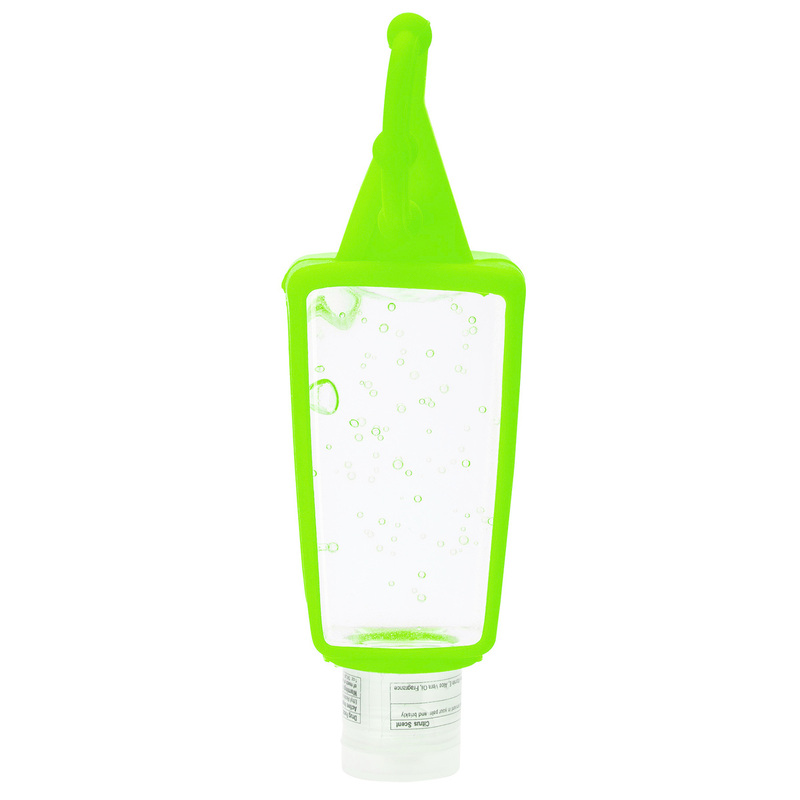 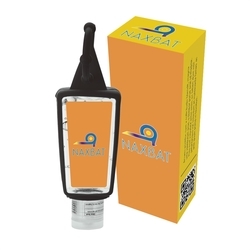 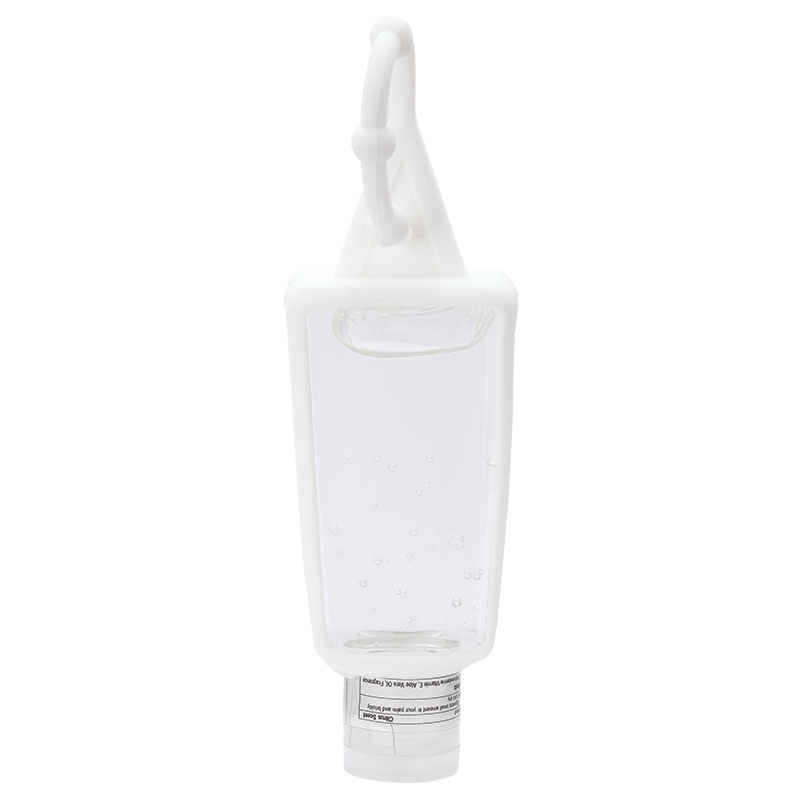 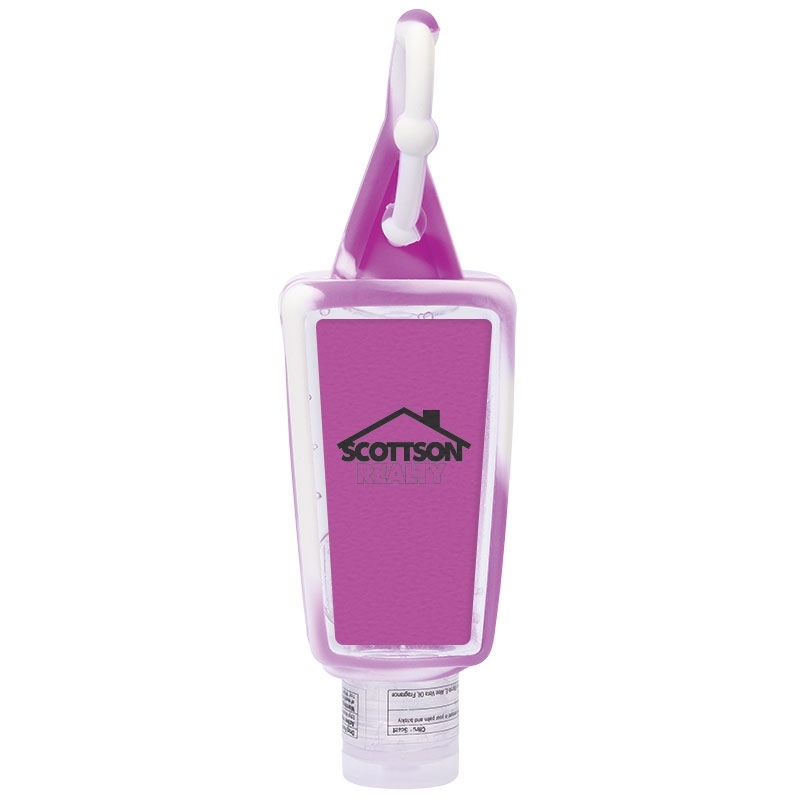 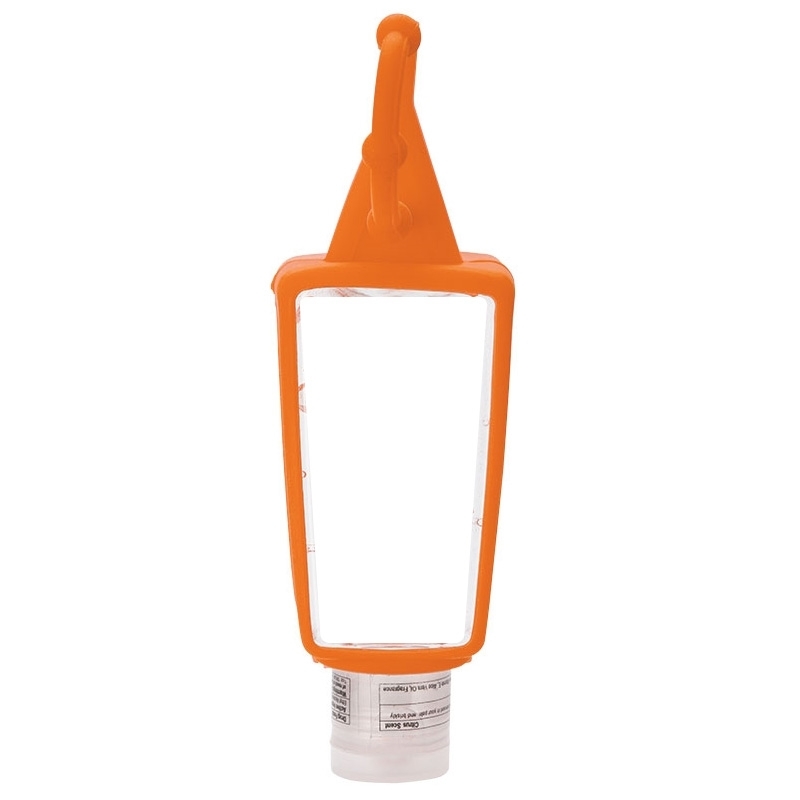 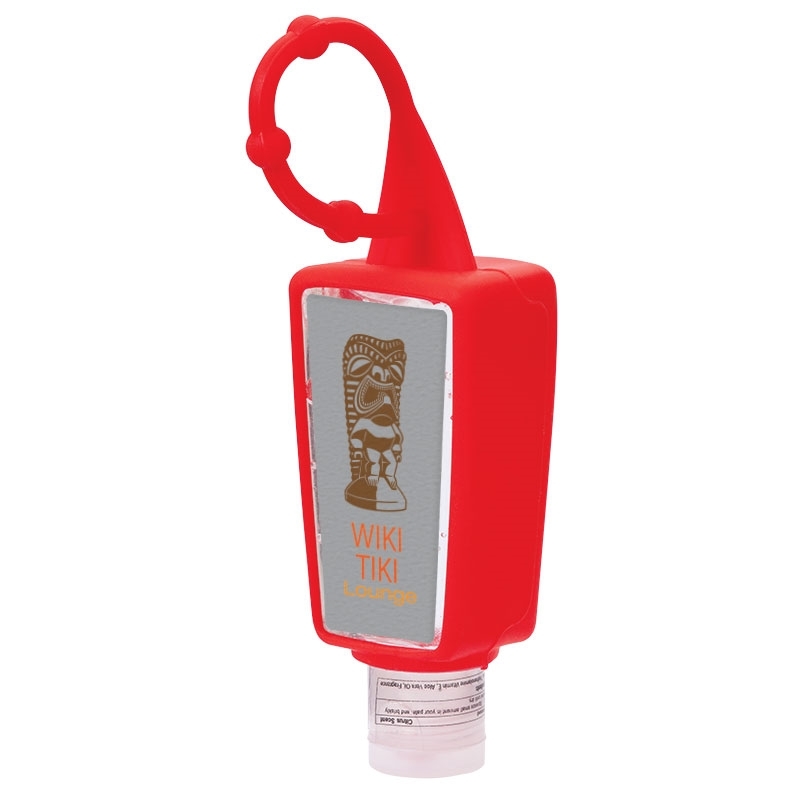 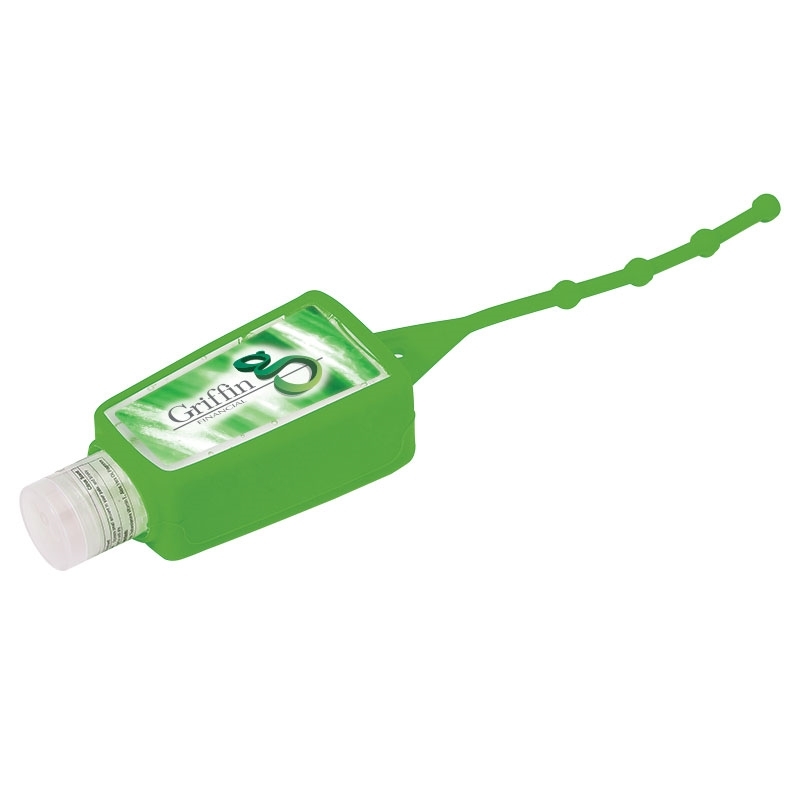 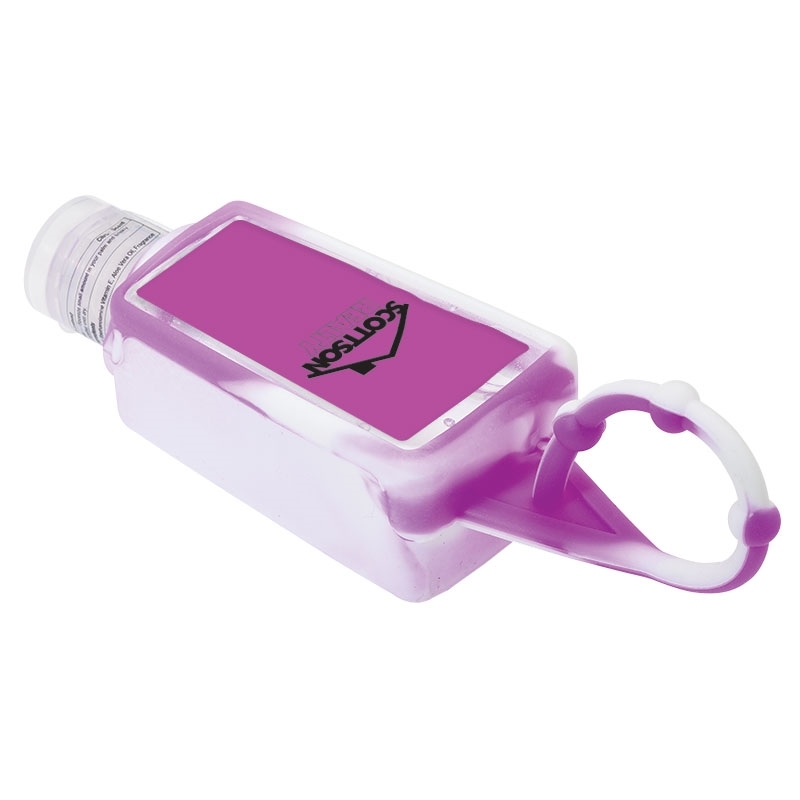 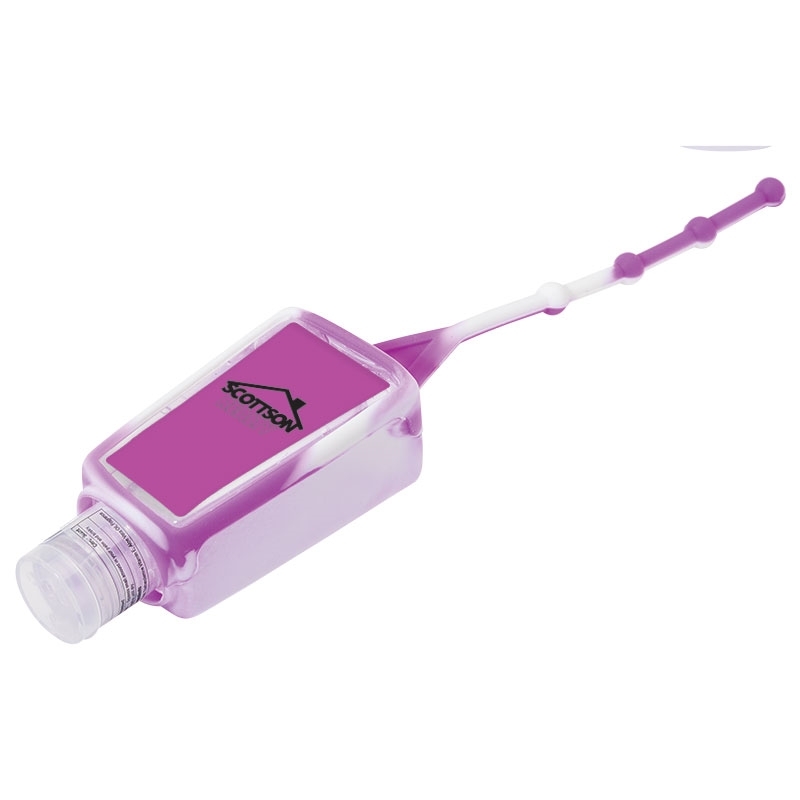 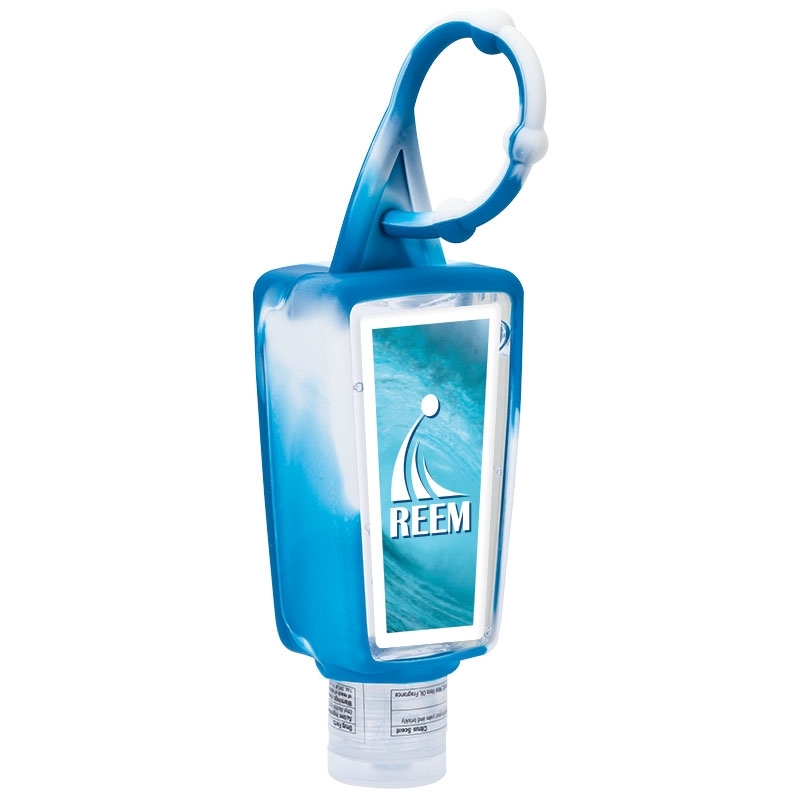 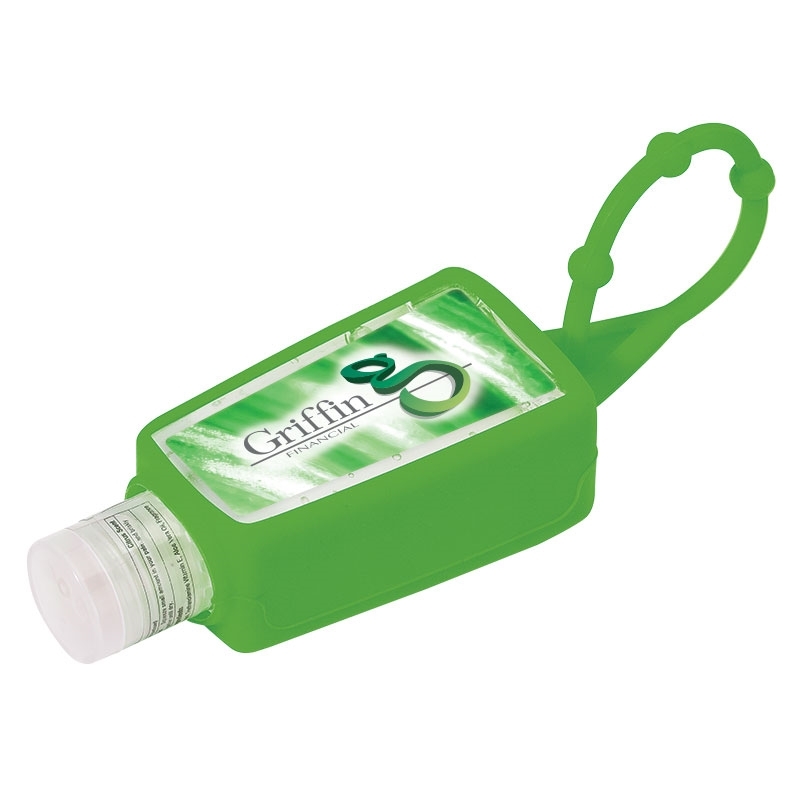 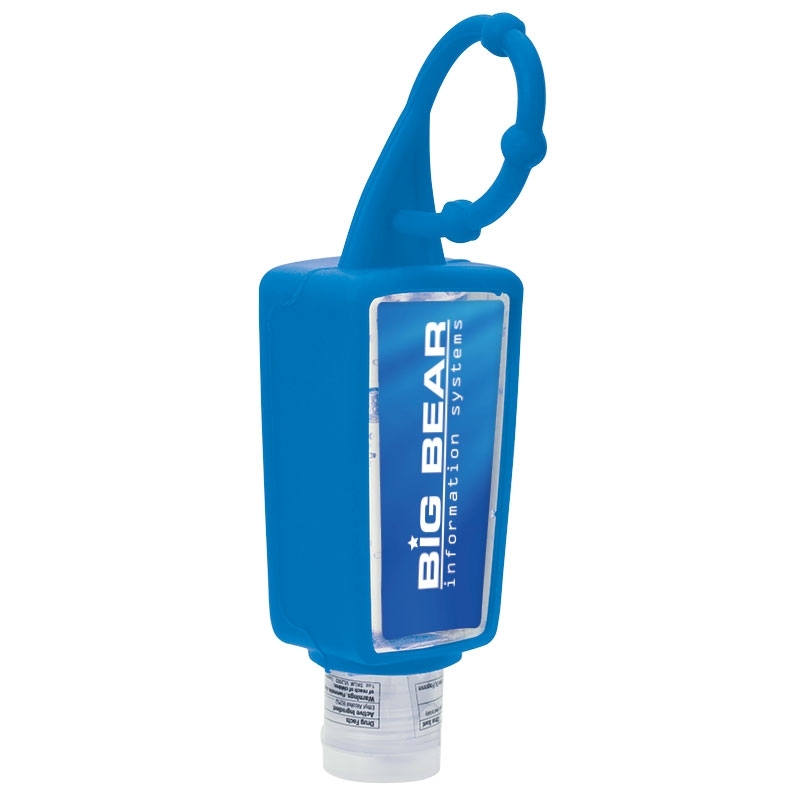 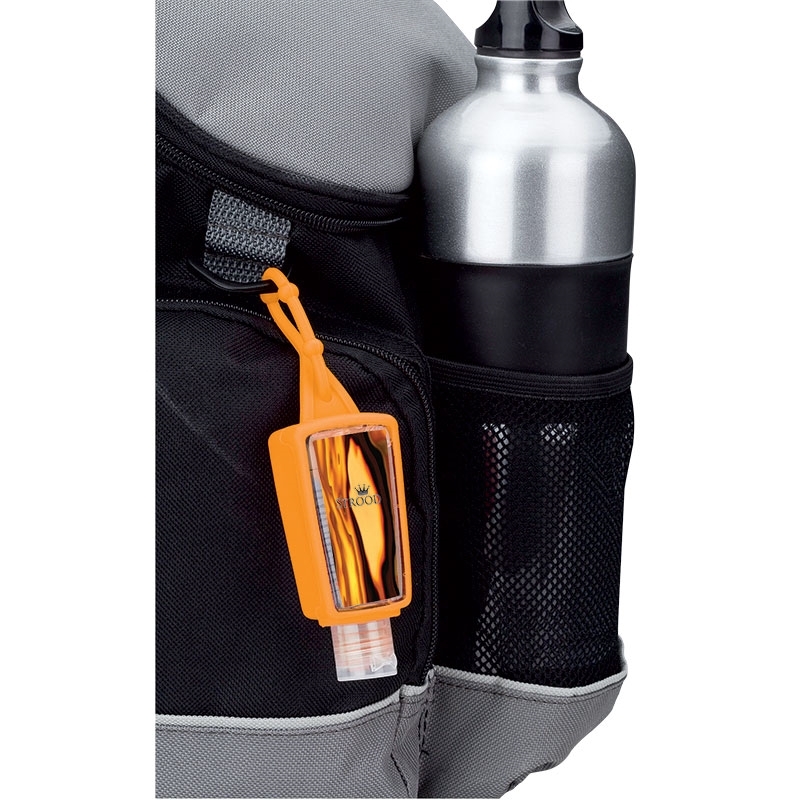 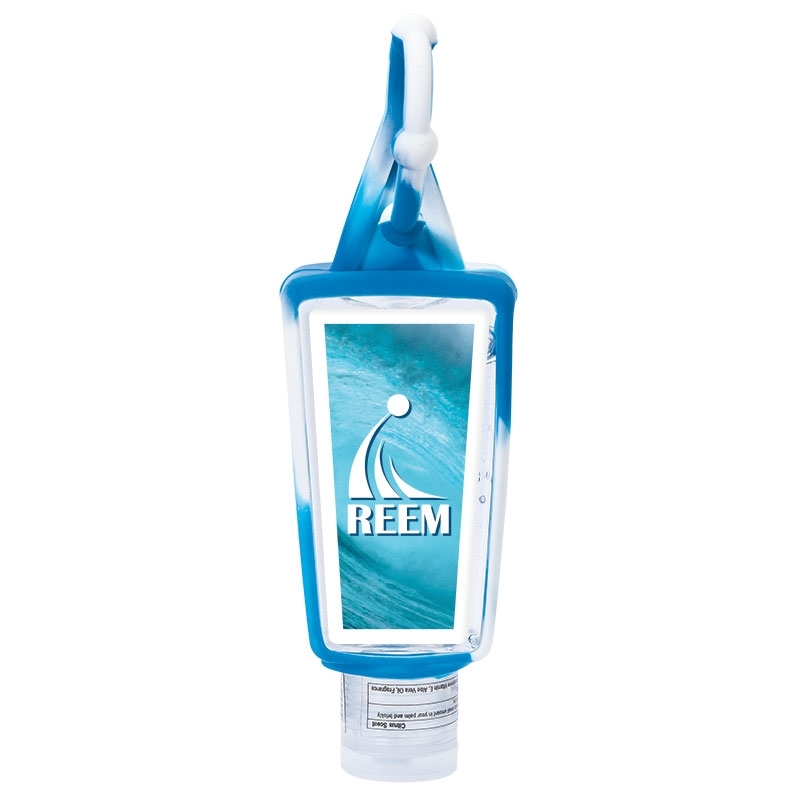 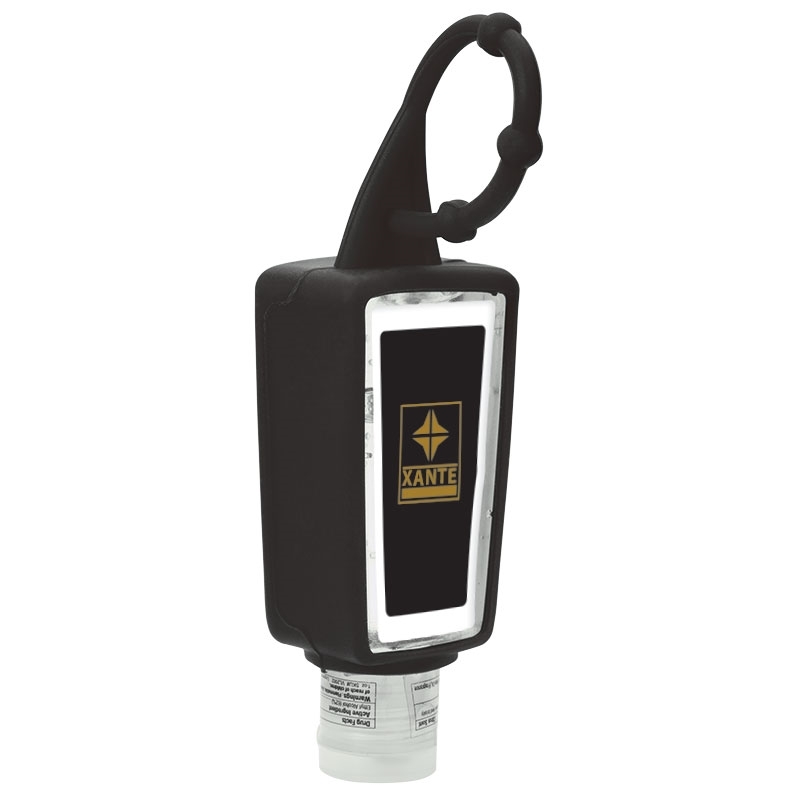 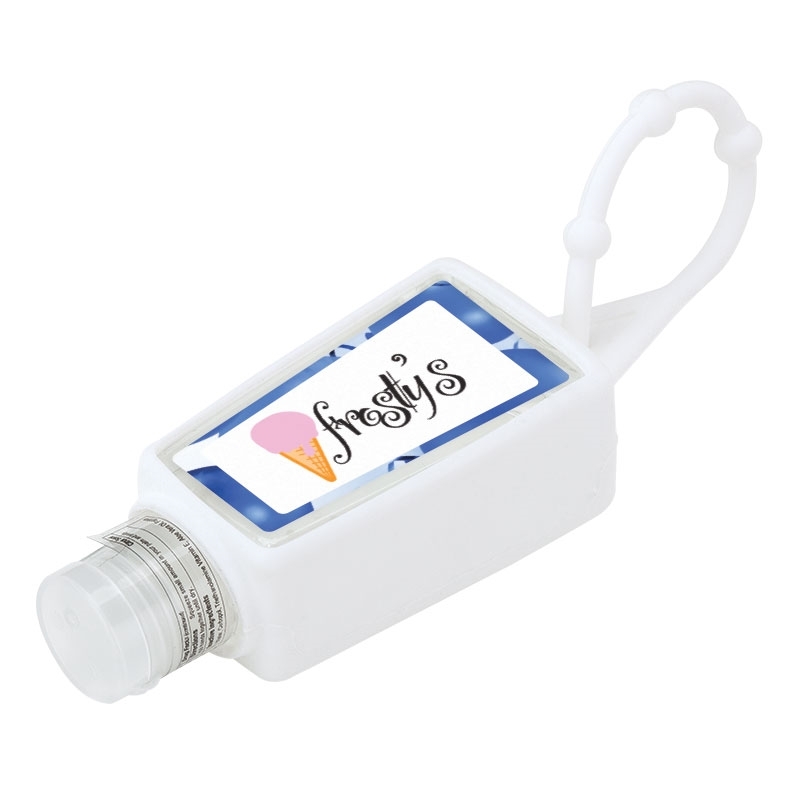 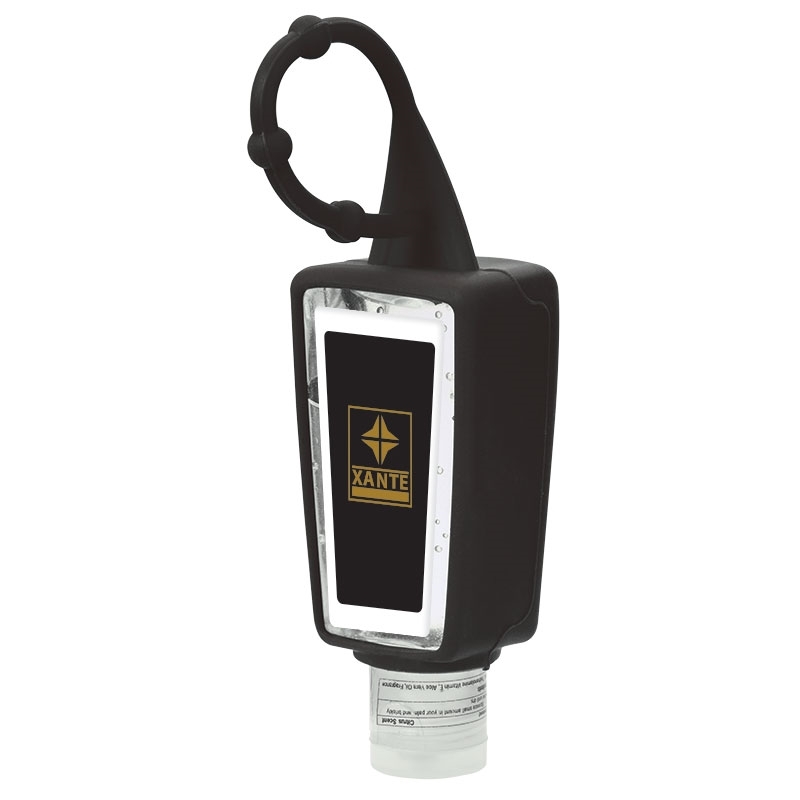 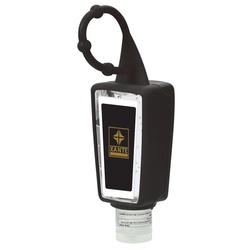 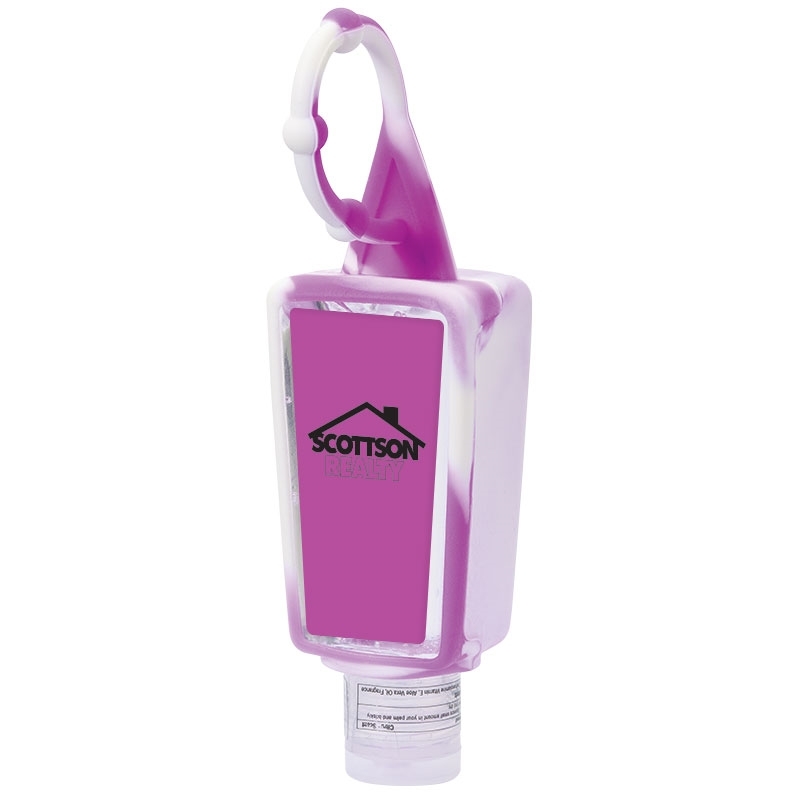 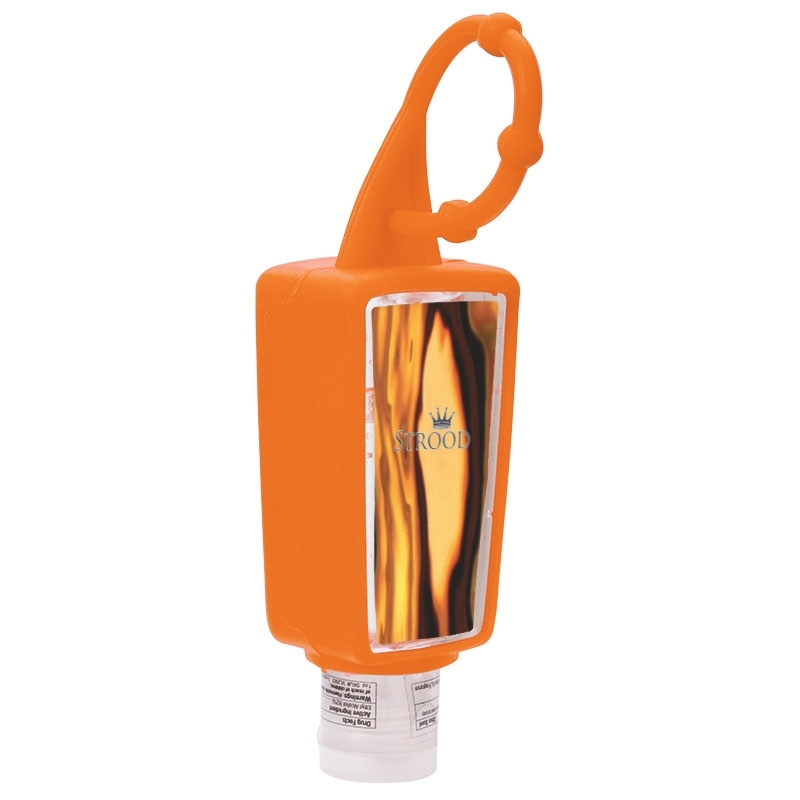 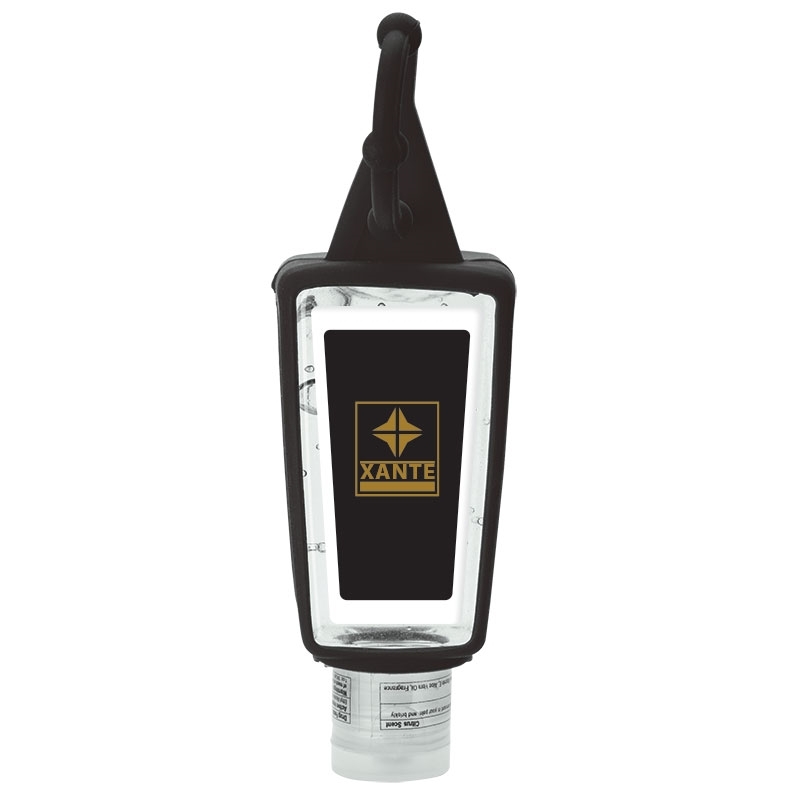 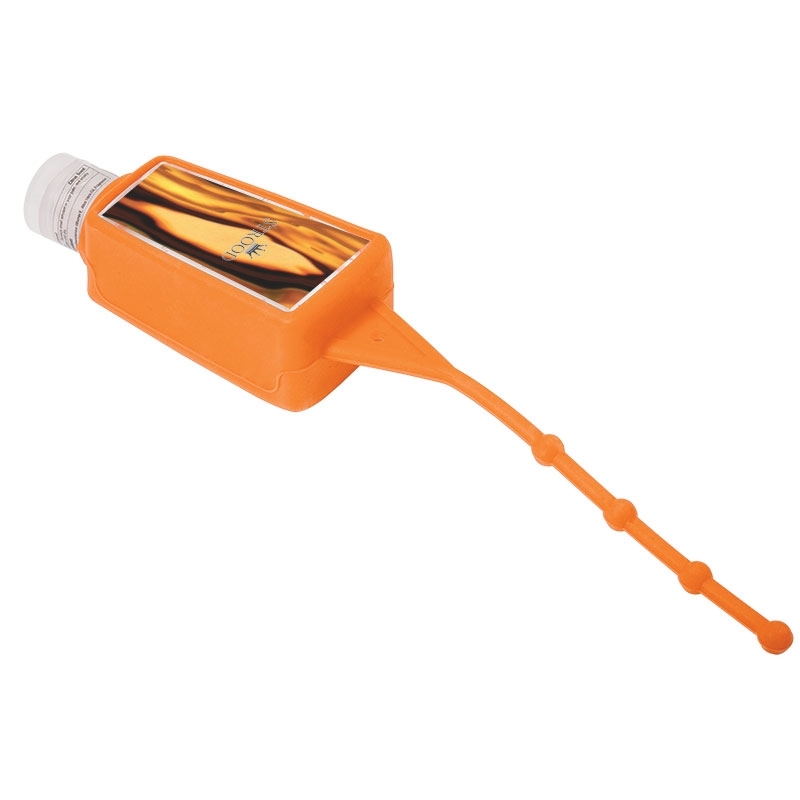 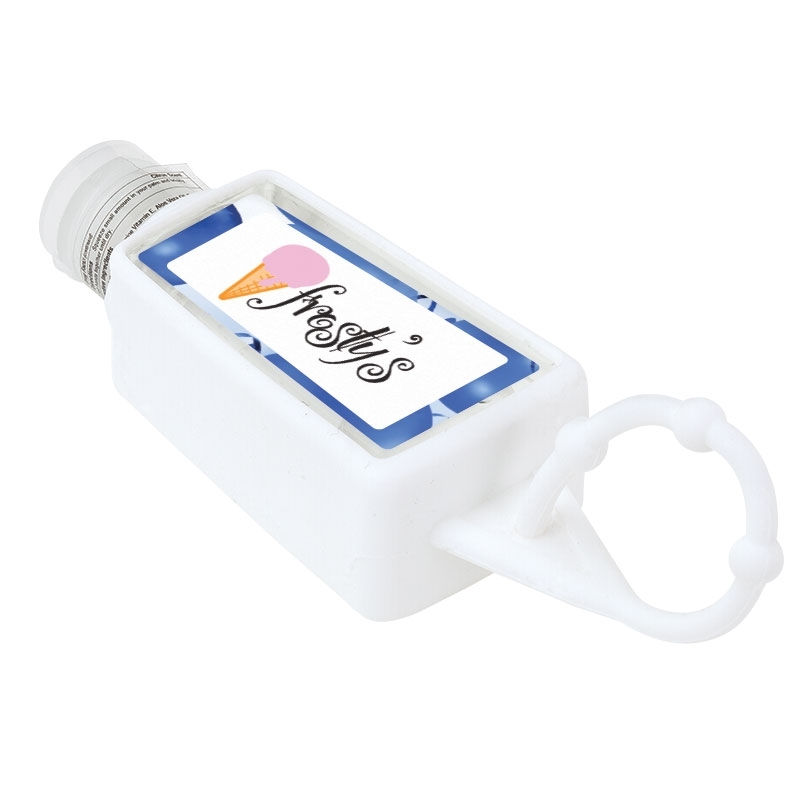 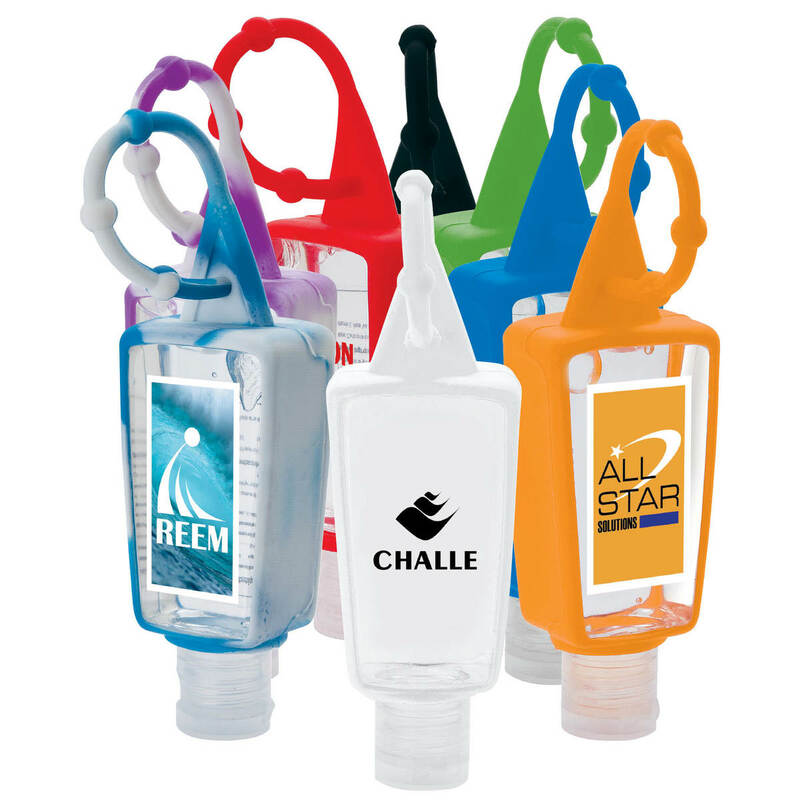 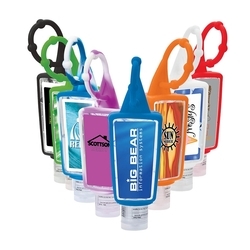 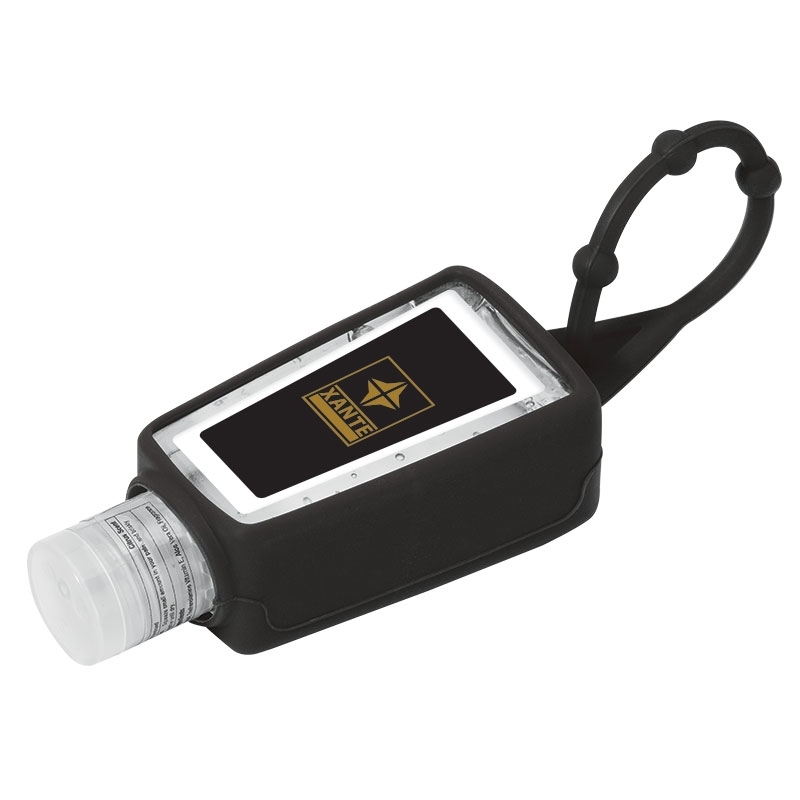 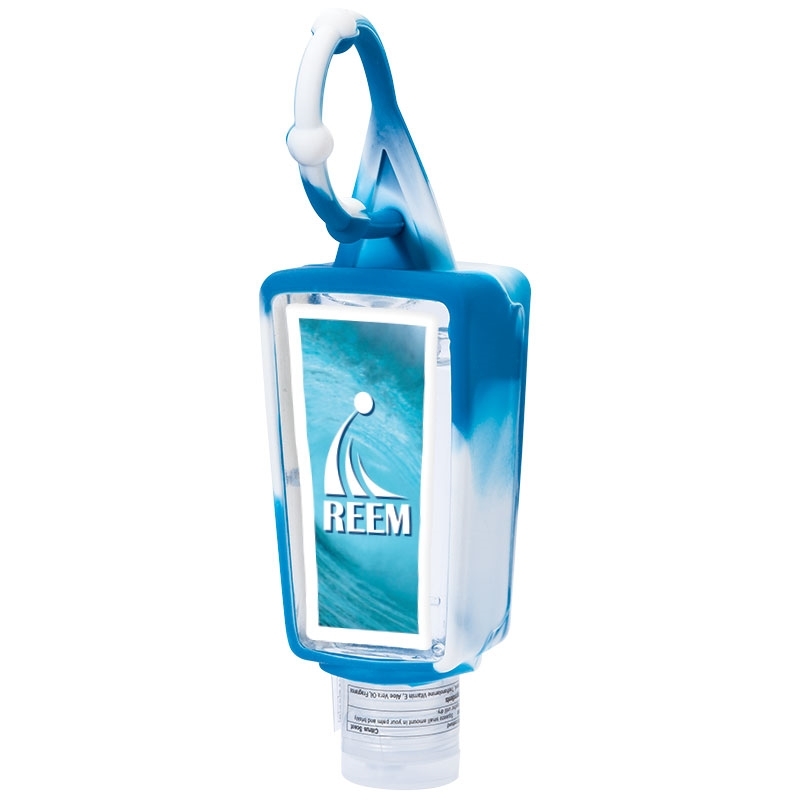 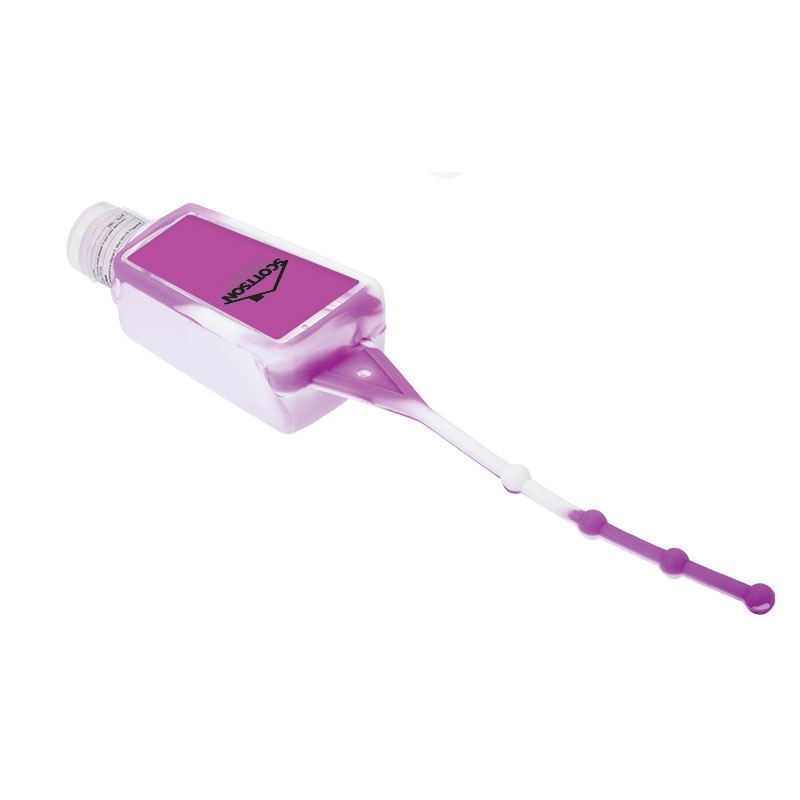 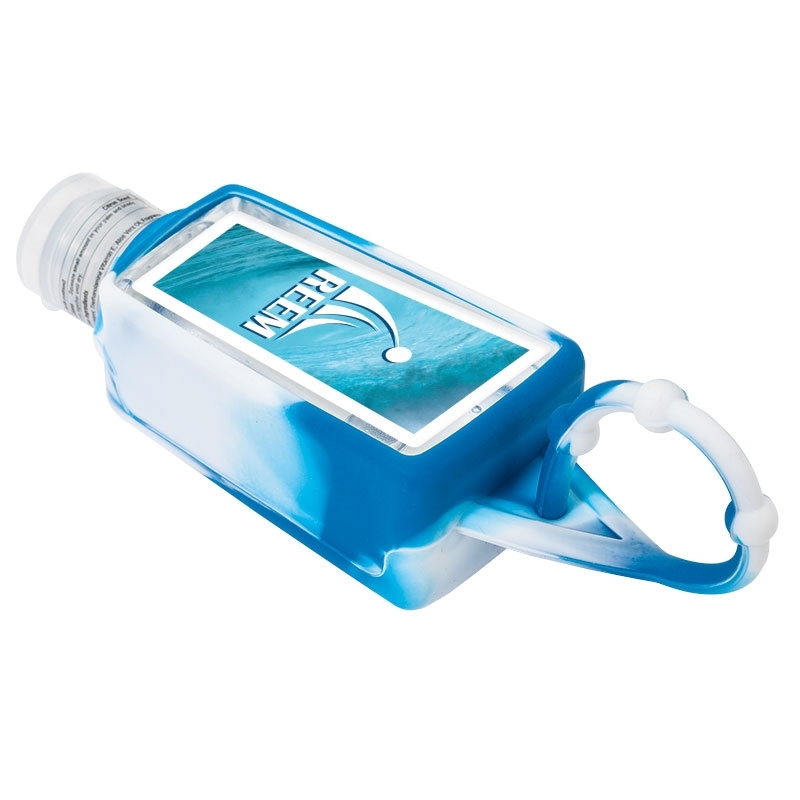 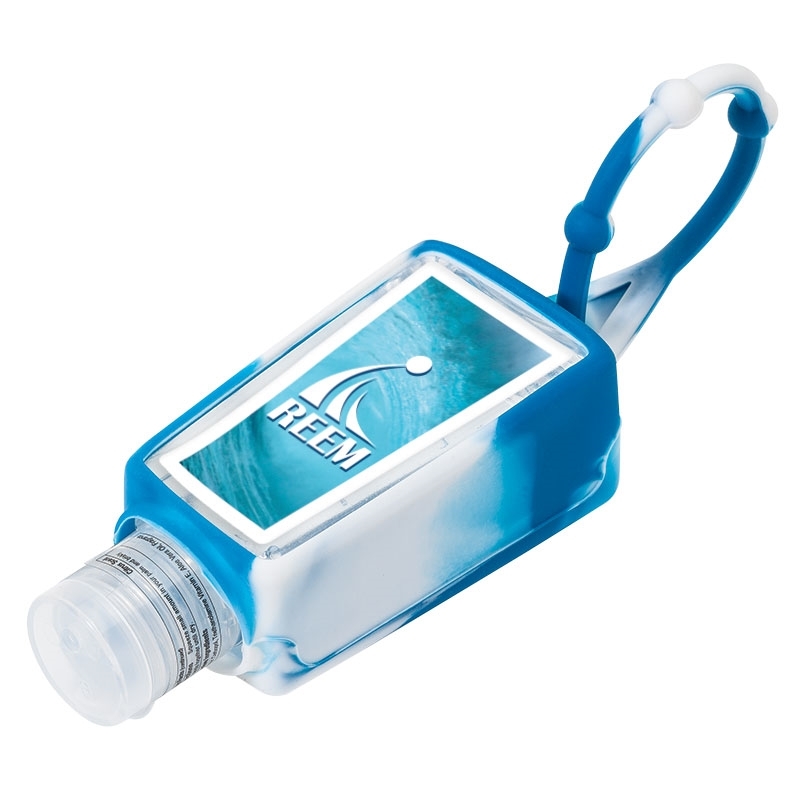 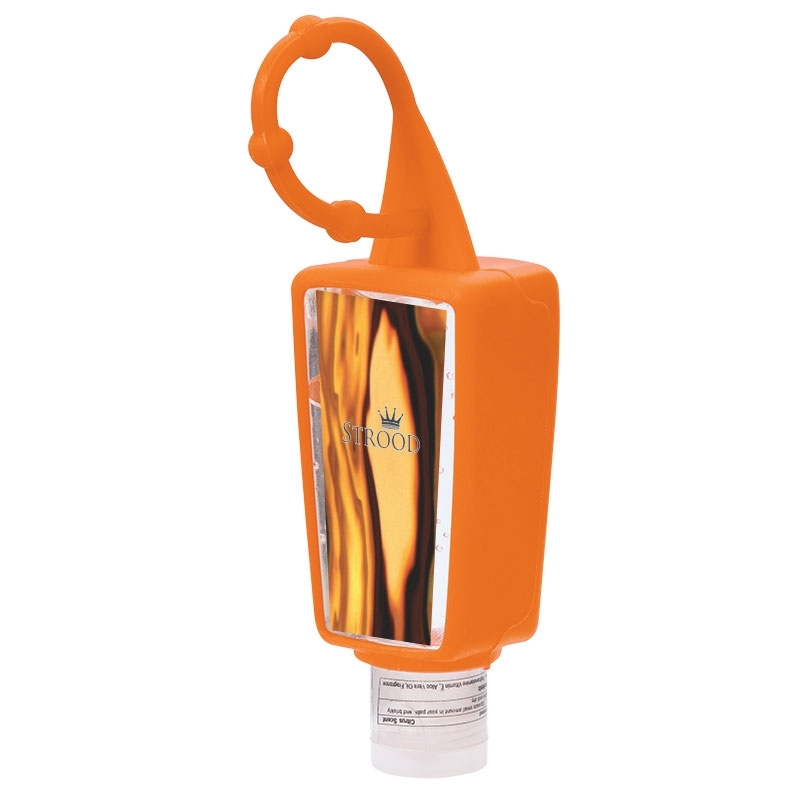 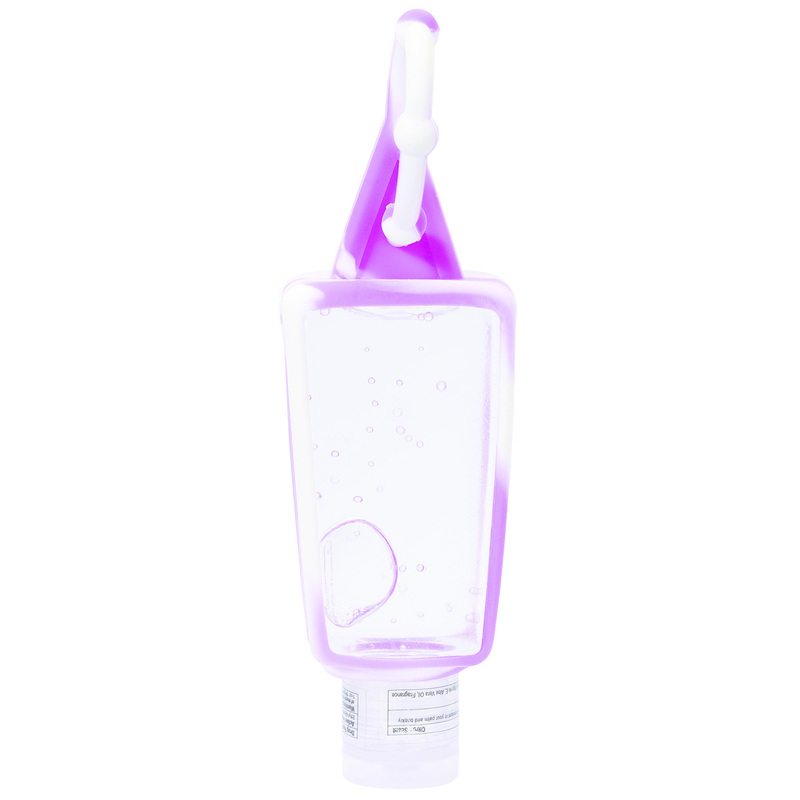 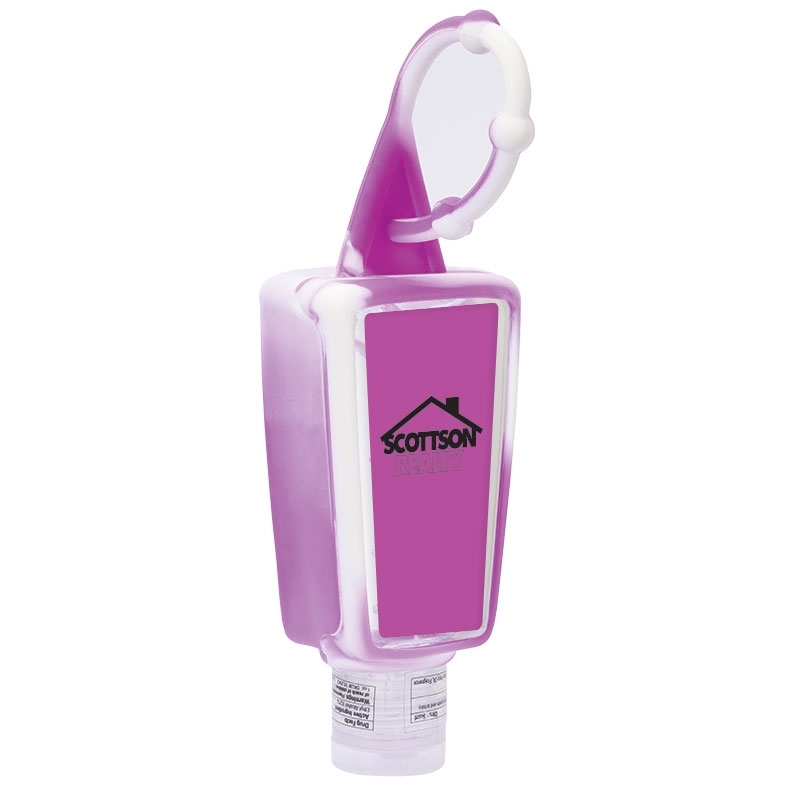 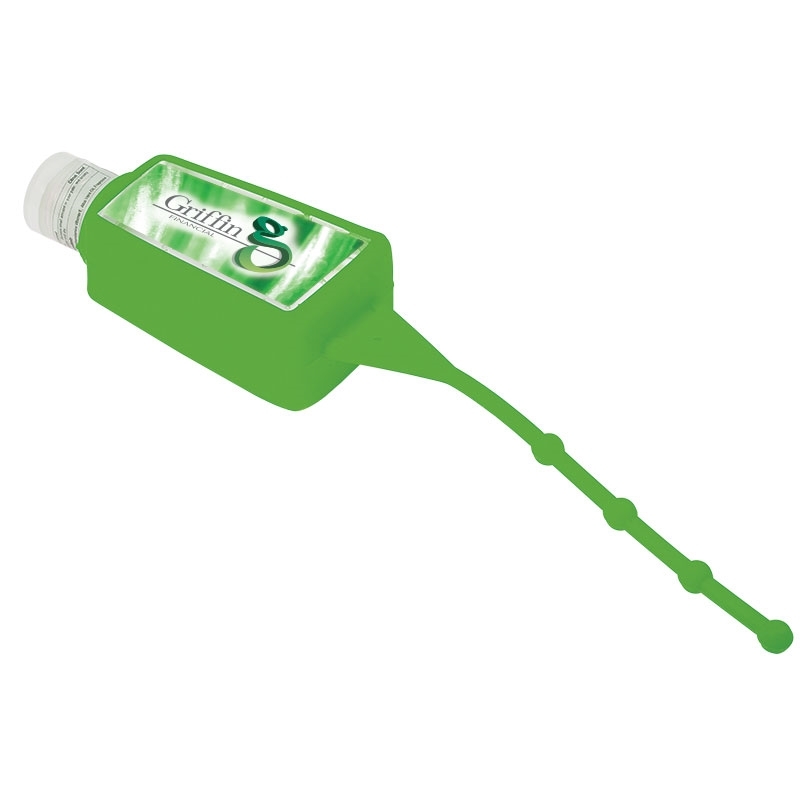 One ounce (30mL) hand sanitizer bottle has a colorful silicone bottle holder and easy to attach beaded silicone strap. 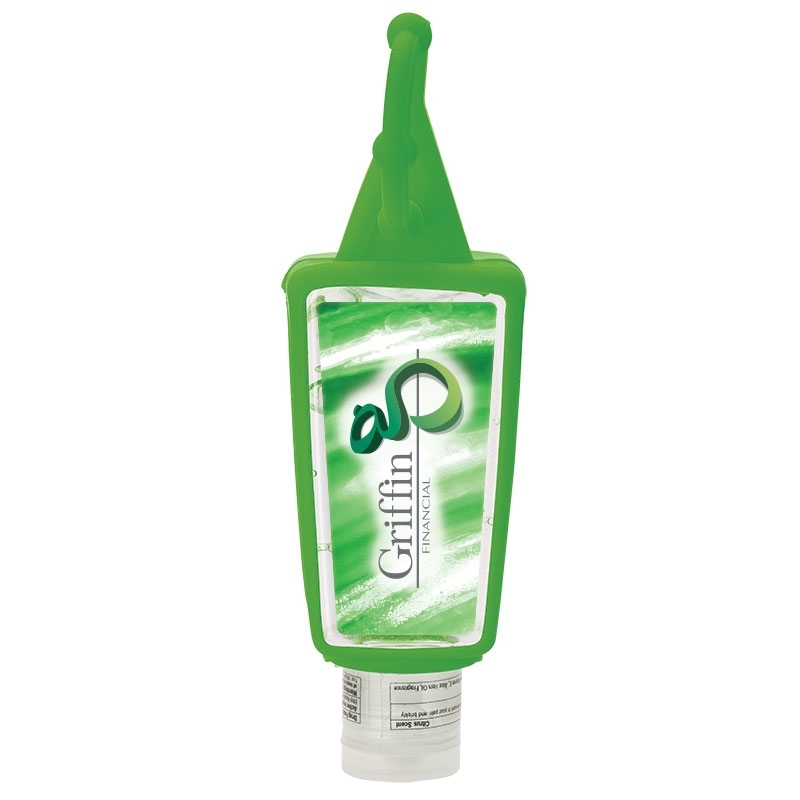 Gel is 62% alcohol and FDA approved. 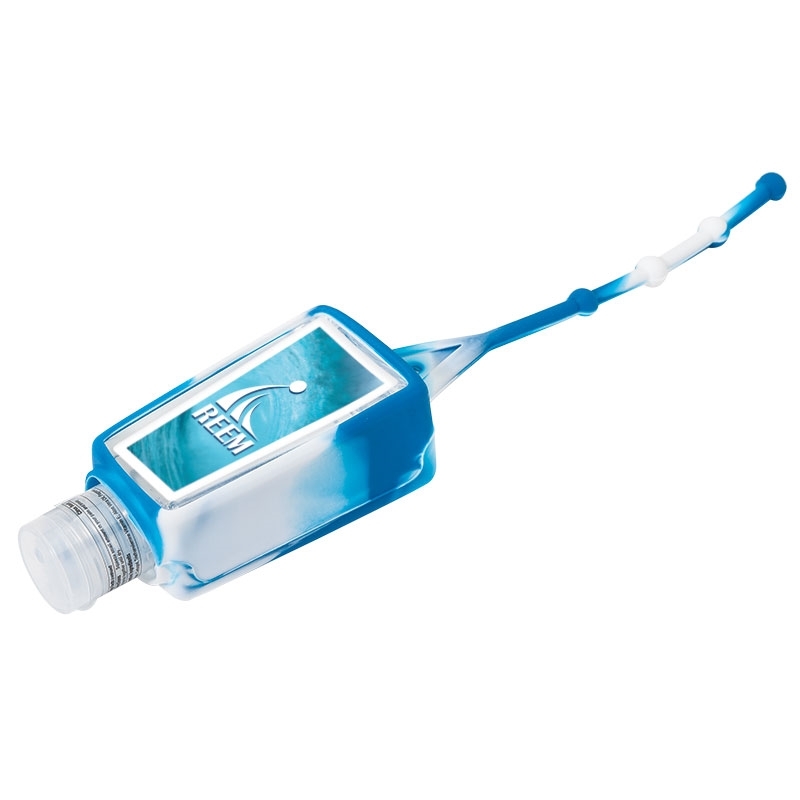 Ground shipment only.